On December 7, 1933—eight years to the day before the Japanese attack on Pearl Harbor—Secretary of the Navy Claude Swanson issued General Order No. 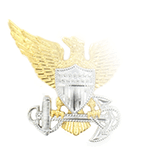 241, which specified that "the force of Marines maintained by the Major General Commandant in a state of readiness for operations with the fleet is hereby designated as Fleet Marine Force.” Today, there are two Fleet Marine Forces, one headquartered in Honolulu and another in Norfolk Virginia. 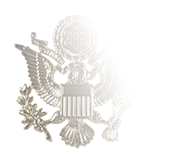 On January 8, 2013, Secretary of the Navy Ray Mabus released SECNAVINST 1412.10, which clearly delineated the eligibility requirements and qualifications that U.S. Navy officers serving with Marine Corps must possess in order to earn the Fleet Marine Force Warfare Officer designation. 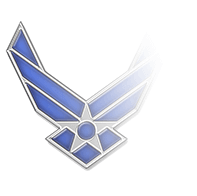 The Personnel Qualification Standards (PQS) officers must meet are found in NAVEDTRA 43908-1A. 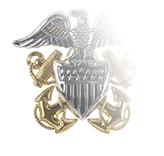 However, many of the PQS found there simply do not apply to member of the U.S. Navy Chaplain Corps because regulation prohibit them from bearing arms; instead, they must follow guidelines to become Fleet Marine Force Qualified Officers (as opposed to Warfare Officers). 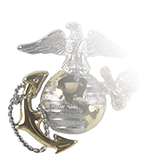 But just as with any officer or enlisted Sailor seeking to earn Fleet Marine Force qualification, chaplains must spend at least a year with a USMC unit, pass the Corps’ physical fitness exams, complete a six-mile march, and successfully complete all the PQS not involving their personal use of firearms or weapons.